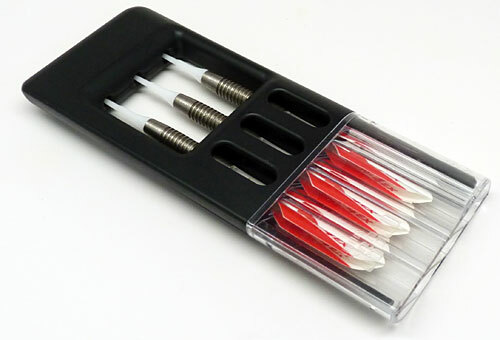 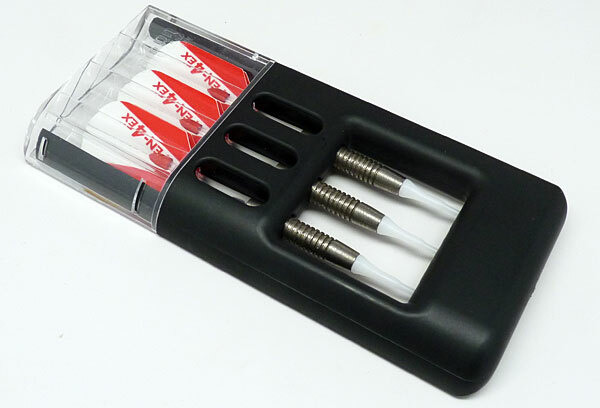 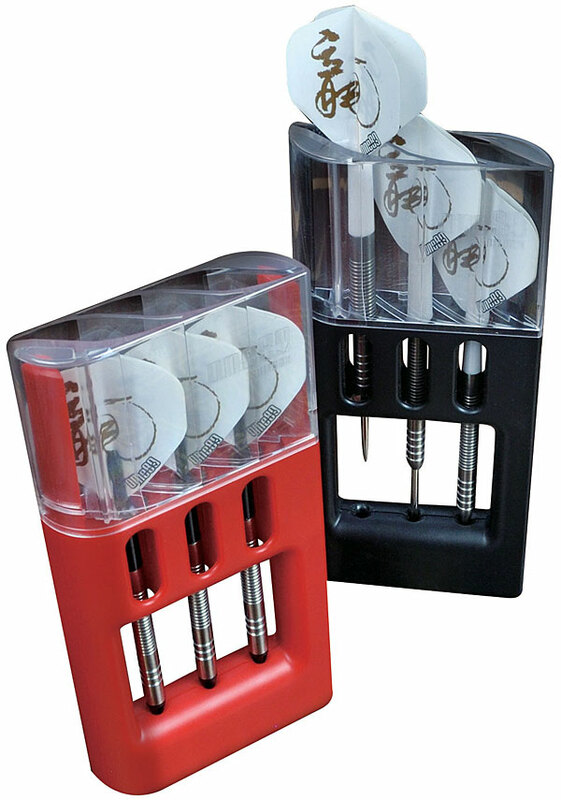 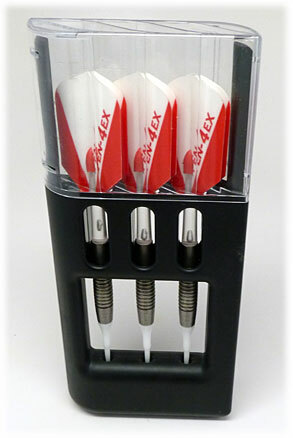 The SoliBox from one80 holds a complete set of Darts in this Drop-In style wallet that easily fits into any pocket. 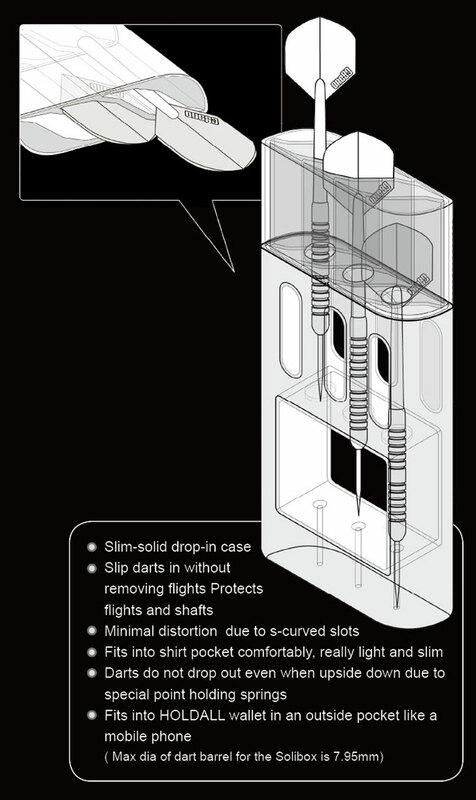 Flight distortion is Minimized by the S-Shaped Slits in the top portion of the box- that Compress the fins- helping to hold the darts tight in the case. 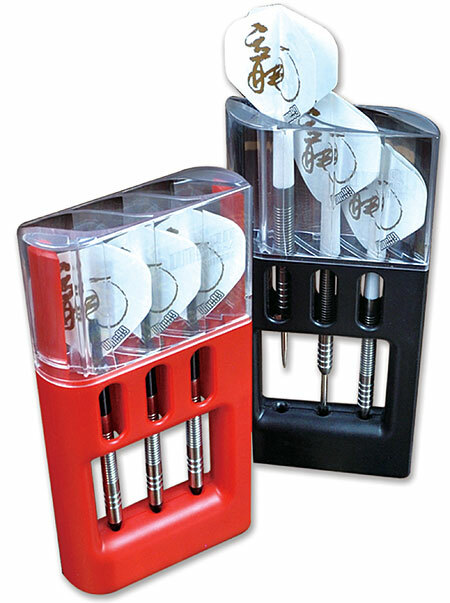 Dimensions: 6-1/4" x 2-3/4" x 3/4"